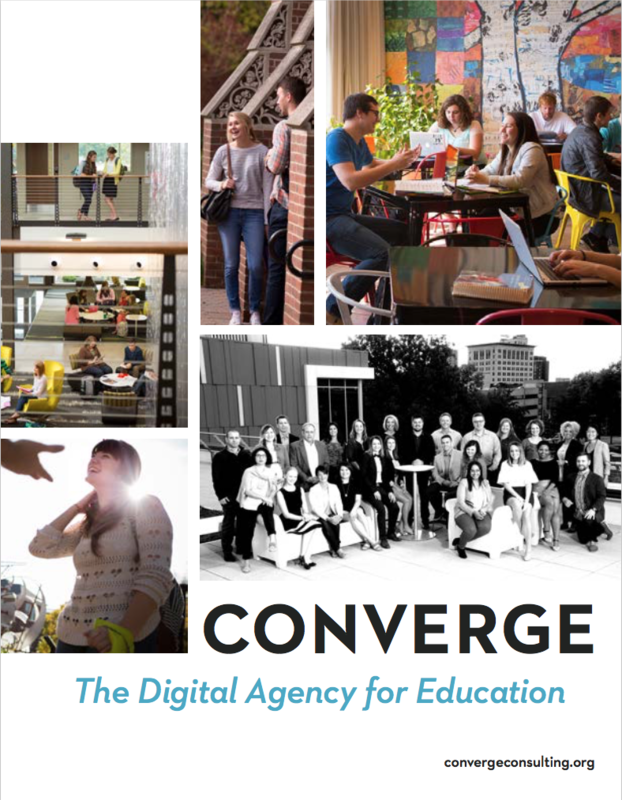 Get to Know The Leading Digital Agency for Higher Education. Looking for a digital partner? Want a sneak peek into what life is like as a Convergian? Our agency look book is the perfect resource if you're looking for more information about us. Hi there, IT'S nice to meet you. We're bold thinkers who propel the new and next in digital marketing for colleges and universities. Passion drives our team to take education to new heights, and we've been lucky enough to partner with some of the best brands in the business. Our new-and-next thinking, data-fueled strategies, brilliant creative and engaging content has helped more than 500 undergraduate and graduate programs across North America meet their enrollment goals. Looking for your next digital partner? Download our look book to learn more about our solutions, clients and team.